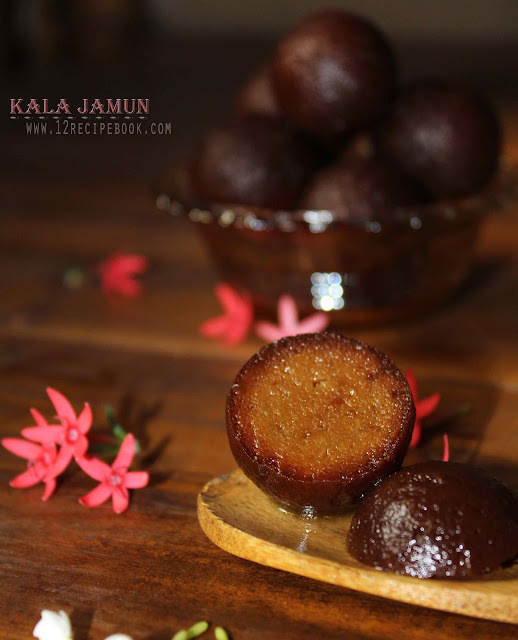 Kala Jamun is an exotic Indian dessert served on all the special occasions. 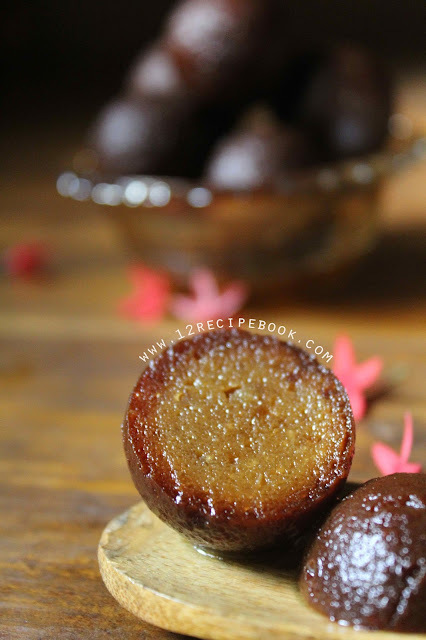 It is nothing but the normal gulab jamuns are fried up to a dark in color and lovely texture over very low flame. 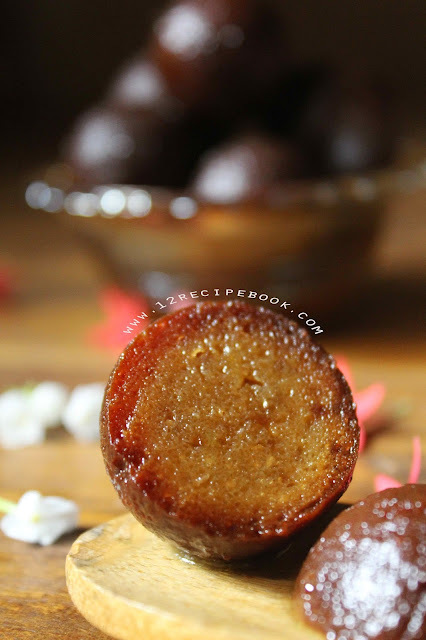 Try this spongy soft never fail recipe with simple ingredients. Also check out the collection of Gulab jamun recipes listed in my blog: Gulab Jamun. Boil 1/2 cup of water with 1 cup of sugar for 5 minutes. Add saffron strands, cardamom and lemon juice. Turn off heat and keep aside. In a bowl; mix mawa, paneer, baking soda, salt and 1 tsp of oil. 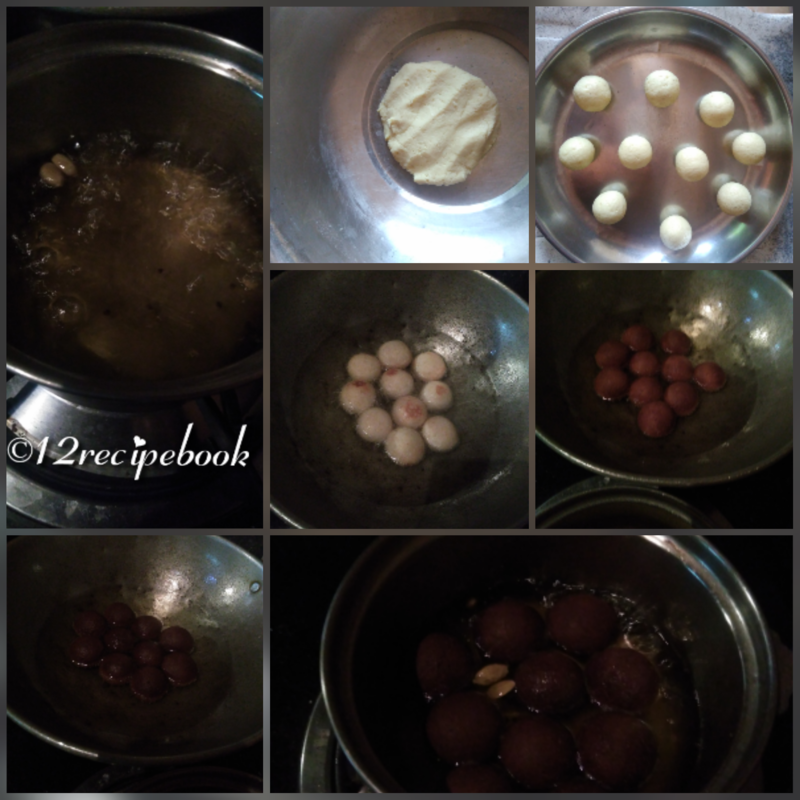 Make small lemon sized balls out of it without any cracks. Heat oil in a pan and deep fry these balls over very low flame (flame must be at simmer through out frying it took about 20 minutes). Stir occasionally to get even in color; fry until the color changes from golden in to in to dark brown. Once reaches dark in color drain it from the oil and drop in to hot sugar syrup. Soak in syrup for about two hours. Serve chilled or by top it with nuts and ice cream!! !